Volvo Construction Equipment (Volvo CE) is currently field testing a hybrid excavator whose boom-down motion charges energy-storing accumulators that are used to power the hydraulic pump. 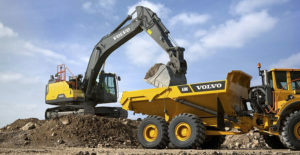 According to Volvo CE, the EC300E Hybrid is unlike other systems that capture the swing energy of an excavator’s superstructure to electrically assist the engine. Volvo CE’s hydraulic hybrid harvests “free” energy generated by the down motion of the excavator’s boom and uses it to supercharge the hydraulic system. 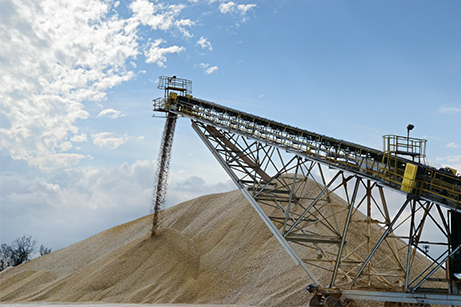 While not commercially available yet, EC300E Hybrids are currently undergoing field tests at customer sites to validate the technology in real-world applications. Still, Volvo CE says the EC300E Hybrid provides up to a 17 percent fuel efficiency improvement in certain applications. According to Volvo CE, the powerful and regular boom-down motions charge 20-liter hydraulic accumulators, which then deliver energy to drive hydraulic assist motors to help power the hydraulic pump. There are the same levels of controllability and performance as the standard EC300E, Volvo CE adds, including the ability to work in ECO mode and Hybrid mode simultaneously. This approach takes load off the engine and delivers between 10 and 12 percent lower fuel consumption in the process, as well as up to 12 less carbon dioxide emissions –all with no loss of performance, Volvo CE says. When used in dig-and-dump applications, especially those with a 90-degree swing, the payback of the approach can be a little more than a year, the company adds.